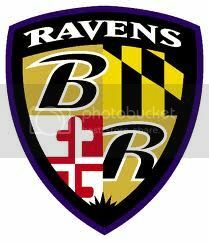 I watched the tennis and NFL games and saw quite a few TAR promos. so has any1 seen these? CBS has also leased the roofs of three large warehouses just outside the Los Angeles airport and has painted promotions for “The Amazing Race” on them, easily visible to landing planes. It makes me glad to see that CBS is going out of it's way to promote Amazing Race this season. I feel like TAR12 had no promotion at all. ooohhhh, I want to fly into LAX just to see it! And who's in NYC or LA? I want some hangers please! The Eye is also slapping promo messages on thousands of eco-friendly, biodegradable hangers that have been handed out to dry cleaners in New York and Los Angeles. Created by a company called Hanger Network, the EcoHangers are made of recycled paper and plastic bottle caps, reshaped into hangers with room for marketing messages on the front and back. According to Hanger Network CEO Bob Kantor, the CBS hangers alone will replace more than 17 tons of steel-based wire hangers -- which usually end up in U.S. landfills. Heres the press thingy "featuring host Phil Keoghan's popular phrase Welcome to the Finish Line along with The Amazing Race"
In a first-of-its kind promotion for a broadcast network, CBS is hooking new viewers this fall with green advertising on 100% recycled and 100% recyclable EcoHangers designed and developed by the inventive in-home marketing company, Hanger Network. CBS's fall marketing campaigns are also reaching new heights with innovative aerial view rooftop billboards promoting "The Amazing Race" to air-travelers landing at LAX airport. Rounding out the aerial theme, CBS is running its "CBS Fall Preview Show" and the Network's two new comedies on the American Airlines inflight television network. Beginning in mid-September, CBS's five new series as well as "The Early Show" and "How I Met Your Mother" will be featured on thousands of environmentally-friendly EcoHangers distributed at dry cleaners — to build awareness of the CBS shows right in viewers' homes. EcoHangers, made from 100% recyclable and recycled paperboard in EPA-regulated factories in the United States, represent the environmentally sound alternative to the more than eight billion wire and plastic clothes hangers that fill this country's landfills each year. • A lot happens early…so hang out with us. — "The Early Show"
• Suit Up — "How I Met Your Mother"
• Hang on every clue. — "The Mentalist"
• Every date has a few wrinkles. — "The Ex List"
• Get dressed. It's later than you think. — "Eleventh Hour"
• Clothes make the man. — "Worst Week"
• Hang in there. — "Gary Unmarried"
"This is a clever way to get attention in this crowded media marketplace," said George Schweitzer, President, CBS Marketing Group. "Our hanger campaign is eco-friendly, fun and effectively targets adult consumers by having our shows literally hang around peoples homes." "Using EcoHangers provides CBS with the opportunity to expand its advertising base as well as its consumer base," stressed Bob Kantor, CEO of Hanger Network. Unique views are also at the heart of CBS's first-ever aerial view network billboards on the LAX flight path. Viewers landing at LAX will see an ad for "The Amazing Race," spanning three rooftops, featuring host Phil Keoghan's popular phrase Welcome to the Finish Line along with The Amazing Race — and Sundays, 8PM 2 HD. Meanwhile, travelers on American Airlines, on flights all across the country, will screen CBS's new comedies "Gary Unmarried" and "Worst Week" as of Sept. 1 — as well as the "CBS Fall Preview Show," a half-hour special showcasing previews from CBS's five new series hosted by Lara Spencer, co-anchor of "The Insider." With 30,000 flights and over four million passengers each month, American Airlines continues to be a valuable way of reaching captive viewers. The "CBS Fall Preview Show," showcasing previews from CBS's five new series was also broadcast on the CBS Television Network on Friday, Sept. 5 and is available on TV Guide Channel and to customers of Comcast, AT&T U-verse and Verizon FiOS. CBS affiliates will also have the option for multiple broadcasts prior to the start of the new season. These are just a few of the efforts comprising the Network's fall marketing blitz, which consists of a host of cable, broadcast television, radio, print, outdoor advertising, targeted online and out-of-home marketing and consistent on-air promotions. You make me laugh, Boingo! NEW YORK, Sep 18, 2008 (BUSINESS WIRE) -- CBS teams up with Sojern to promote "The Amazing Race" via online boarding passes from its leading airline partners. This national advertising campaign, which kicked off earlier this month, promotes the Sunday, Sept. 28 premiere of the 13th installment of the five-time Emmy Award-winning series "The Amazing Race." This innovative campaign will continue through the series' launch date. "CBS is always seeking new and different ways to reach our audience, and Sojern's boarding pass advertising service also happens to be a perfect fit for 'The Amazing Race,'" said George Schweitzer, President, CBS Marketing Group. Launched in July 2008, Sojern is the first and only company to bring together the nations six-leading airlines with local and national advertisers to provide customized, destination-specific information right on the online and printed boarding pass. Leveraging the popularity of online check-in and print-at-home functionality, Sojern enables airlines to provide valuable and destination specific information to their passengers while also giving advertisers the opportunity to reach an important demographic. "CBS is always on the leading-edge of the advertising market and we are honored to have them on board as a charter advertising partner," said Gordon Whitten, founder and CEO of Sojern. "The advertisements for "The Amazing Race" exemplify the benefits of boarding pass advertising not only to direct response advertisers but also for brand equity." The 11 Teams set to compete in "The Amazing Race 13" will travel over 30,000 miles, spanning five continents in 23 days, all starting from the world famous Los Angeles Memorial Coliseum, site of the 1932 and 1984 Olympics. 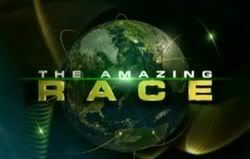 "The Amazing Race 13" premieres Sunday, Sept. 28 (8:00-9:00 PM, ET/PT) on the CBS Television Network. Phil Keoghan is the host. TV Guide Channel really seems to be in love with TAR. And we love that! Dang, I just landed 2 hours ago at LAX and did not see this. I was looking too. But I wasn't in a window seat and I was over the wing. I also asked the pilot if he saw any Amazing Race signs on the rooftops. He shrugged "nope"
If you want to see this then be sure to get a window seat on the right hand side of the plane. Also, avoid the wing. I was just in Philly and I hid something especially for you. Make your way to this landmark and search the grounds. There is hidden treasure for you! Hint: x marks the spot, and about 6 feet off the ground. well someone probably took it Chateau, it is Philly afterall, lol. I'll call my bf, hes working down that way now and see if he'll look for it, he already thinks we're insane anyway, lol! Don't you go into the city? Go on the weekend. well then get into a car and drive puddin -- geez you're so lazy. Go find it, puddin! You need to go. I don't think TAR12 was really worth advertising. I just thought the compressed nature of the race and the miniature route map with small legs and uneven editing wasn't worth promoting. By uneven editing I mean too much Nathan & Jennifer. I live a half-hour outside Philly, do I really need to go get it before you puddin?